The keys to achieving high quality audio reproduction are solid, high quality components from reputable manufacturers, and ensuring you install the appropriate type of speakers in the best configuration for your environment. Our choice of speakers and audio components is supplied by respected brands like Visaton, RS Pro, Wharfedale, Bogen, E2S and Wavemaster. What are the main differences between speaker types? 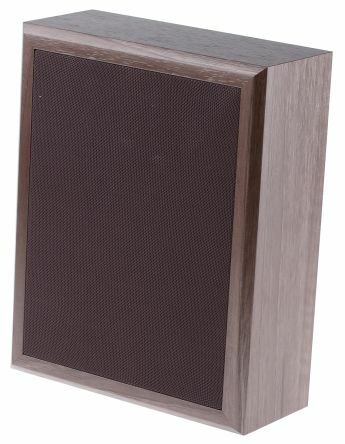 Cabinet speakers can be wall-mounted or freestanding, and tend to have a sturdy, box-type profile that can either be furniture-quality or of a more robust/industrial design. They come in a wide range of wattage ratings, and are often ideally suited to outputting background music or speech across smaller, more contained areas. Ceiling speakers are physically fitted (usually recessed/flush mounted) into the ceiling itself, allowing you to maximise usable floor area and hide any untidy wiring in cavity spaces. They can be fitted to almost any home or workplace environment, with certain models specifically designed for use under outdoor eaves, or in damp/humid environments like bathrooms and saunas. Hanging speakers also help maximise floor space, but tend to be much easier to install via brackets that require minimal work on existing walls and ceilings. Larger or more heavy-duty versions can also be attached to rigging and stanchions for covering wider areas. Portable speakers for speech and music are an ideal solution when you need quick and easy transfer between sites, and often boast a higher IP rating for better protection against moisture and dust in a range of environments. Whether youre looking to install a ceiling-mounted music/intercom network for home, school or office use, or a full horn-based public address system for larger auditoriums and stadia, youll find a selection of robust and reliable components in stock here. 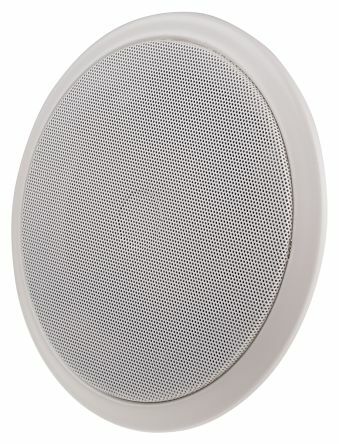 This round ceiling loudspeaker has an attractive, matt white, steel grille and first-fit support bridge. 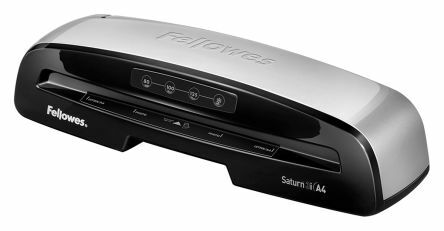 It has a smooth frequency response for quality music reproduction. 100V line6W, 4W, 2W, 1W and 0.5W power taps140° dispersionGrille: Ø230mmCut out: Ø183mm. 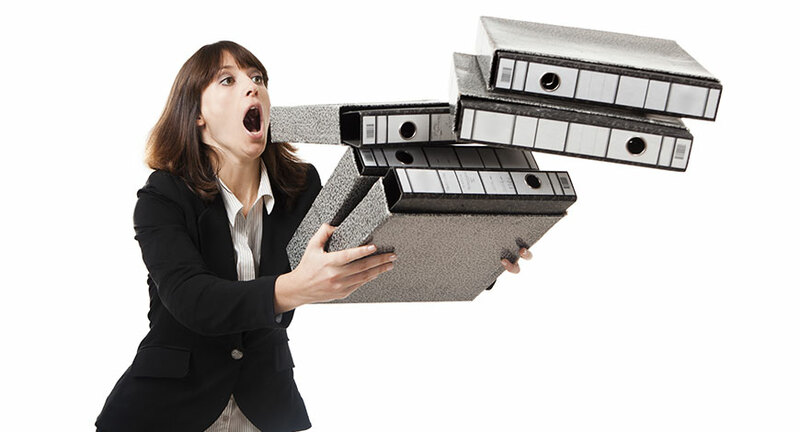 Economically priced, constructed from ABS. For speech use. 30W, 15W, 10W, 5W, 3W and 1W power taps30Wrms output100V lineWeather resistant (IP66)Fitted with swivel U-bracket. 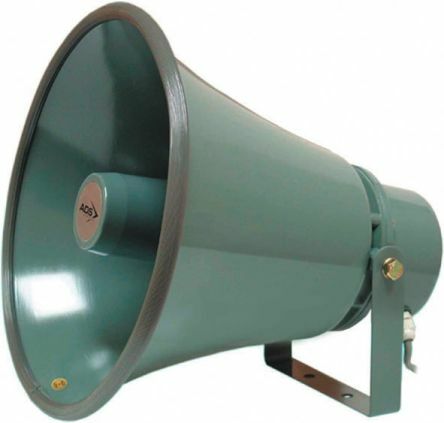 An economically priced, IP66 rated, metal, round horn loudspeaker for speech use. 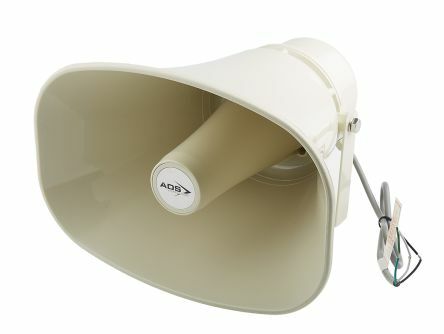 100V line15W, 10W, 5W, 3W and 1W power tapsCoverage: 130°Weather-resistant, IP66 ratedFitted with swivel U-bracket.